The RPG2X10 is a very versatile and great sounding system. 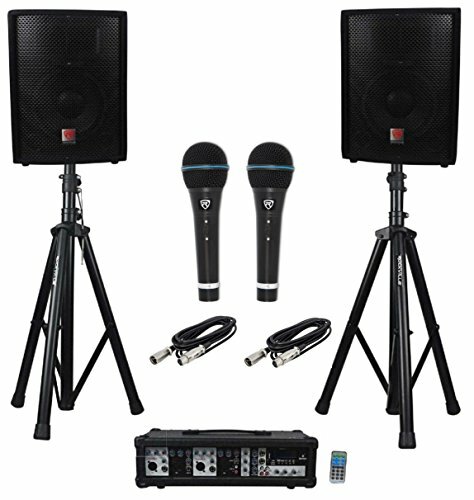 This is a complete system that includes (2) speakers, a powered mixer, (2) wired microphones, (2) stands, and all the cables you will need. The mics we included with this system are our Rockville RMM-XLR mics. These are very rugged metal mics. They sound fabulous and have a great feel to them. We have seen brands that include cheap plastic mics in their systems. We spent the extra few dollars to include top of the line mics! Dimensions (W x D x H): 15.35" x 11.81" x 20.28"